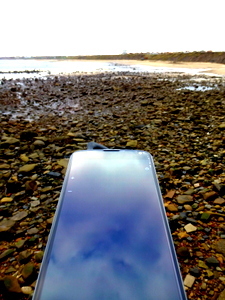 Context: First book I completed from Librivox on my new Nexus 4 phone and I listened to it on a lovely winter’s walk along Whitley Bay beach. Start to finish: badly-written, moralising drivel. If this book hadn’t been as influential as it had been, this would probably have received my lowest rating. It did however prove inspirational to many in its time. I’m sure the world is a better place for it. Absolutely. Pamela is a woman who sincerely believes that the best way to resist emotional and sexual abuse from her employer, Mr B., is to believe the best about him. She seems oblivious to the fact that he is an unrepentant predator nor to the fact that by not removing herself from the situation, she contributes to both the cause and result of what must be, oh, three quarters of the novel. right at the end, just when you think things are going to continue in the same vein they have for over 300 pages, absolutely nothing happens. Oh, dear. Now I’ve spoiled it for you. I thought this was a poor book from beginning to end. At the very least, this is misguided rubbish by a man who had absolutely no idea what it was like to be a vulnerable female in a male-dominated society where women’s needs came slightly lower down the scale than those of the family dog. To suggest that women who found themselves subject to compromise from the likes of Mr B., could simply hold fast to their virtue and defeat evil is naive at best and downright dangerous at worst. And it’s written in the most laborious and over-elaborate style conceivable. Things happen but the whole thing is so drawn out you feel like nothing does. It’s epistolary, which is an entirely pointless structure which I don’t think a single author has ever pulled off to their credit. So, I’ve read it to save you the bother. Go and find an author who can write a moral tale without sermonising and leave Richardson for lit. buffs to analyse. Dear Father and Mother, I have great trouble, and some comfort, to acquaint you with. Mr. Williams came yesterday, and this day, as usual, and took my letter; but, having no good opportunity, we avoided one another’s conversation, and kept at a distance: But I was concerned I had not the key; for I would not have lost a moment in that case, had I been he, and he I. When I was at my devotion, Mrs. Jewkes came up, and wanted me sadly to sing her a psalm, as she had often on common days importuned me for a song upon the spinnet: but I declined it, because my spirits were so low I could hardly speak, nor cared to be spoken to; but when she was gone, I remembering the cxxxviith psalm to be a little touching, turned to it, and took the liberty to alter it, somewhat nearer to my case. And the Editor of these sheets will have his end, if it inspires a laudable emulation in the minds of any worthy persons, who may thereby entitle themselves to the rewards, the praises, and the blessings, by which Pamela was so deservedly distinguished.